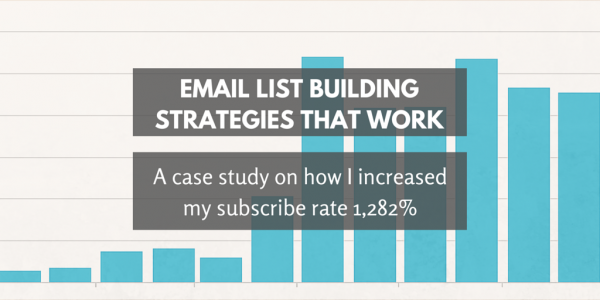 Not all email list building strategies are created equal, and I found that out the hard way. For too long I had relied on strategies that just didn’t produce results. After a bit of experimentation, I was able to go from an average of 12 new subscribers per month to consistently adding 200+ subscribers per month. I’m going to show you which tactics worked for me, and which didn’t. I actually started with list that was declining. The decline in subscribers wasn’t quite fast enough to cause alarm. Since new people continued to subscribe and my unsubscribe rate wasn’t too high, addressing this issue had always moved to the bottom of my to-do list. Of course, losing subscribers is inevitable – marketers should expect about a 20% email churn rate. People can get off of your list for a variety of reasons – they unsubscribe, they change jobs and they no longer have the same email address, they change email addresses, etc. My email churn rate at the time was under 5% – way below average. Knowing that you’ll lose a certain percentage of your list every year, the key is to add more subscribers than you’re losing if you want to continue to grow your list. In my case, I was losing about 44 subscribers per month (29 to bounces, 15 to unsubscribes), while only gaining about 12 subscribers per month. You don’t even need to get a calculator out to realize that this was not good news for my list growth. Total online revenue correlates closely with email list size. The more people you can ask, the more money you will raise. But, in terms of growth trends, online fundraising by organizations with smaller lists is growing fastest. On average, 35% of online revenue can be sourced to a direct email appeal, with the rest coming from other sources, like directly pulling up a website or peer referral. Needless to say, I was starting to freak out that this subscriber list was slowly declining! I had inherited a decent-sized list, so up until this year I made minimal changes to how I collected emails. Basically, I very passively asked people to join the list by having a subscribe box on several locations on the website. Before I started this experiment, I had subscribe boxes on the homepage, at the bottom of every article, and on the sidebar on the website. I averaged 12 new subscribers per month with these in place. Not exactly anything to brag about. In May of 2014 I made some small design and copy changes to the subscribe boxes in attempt to draw a little more attention to them. I added an arrow next to the subscribe boxes to make them stand out a little more. I changed copy from “Sign up for email updates” to “Sign up to get useful resources sent to your inbox monthly.” I also changed the language of the submit button from “Go” to “Send me resources.” Finally, I added share buttons to the bottom of the emails. I gained an extremely modest two subscribers per month, on average, doing these quick fixes. This is likely not even a statistically significant change. To be honest, even though I knew they wouldn’t be the magic bullet to building my list, I thought these tactics would have helped a little bit more than they did. But everything helps …right? It was time to make some substantial changes in the way I collected emails. I decided to make 2015 my year to increase the number of subscribers. About nine months after I started this project, I’ve added a total of 2,675 emails to my list – nearly 300 new subscribers per month. Only 193 came from website sign-ups (my only method of collecting email addresses before this experiment) during this timeframe. Without implementing any new tactics, I would have only gained an average of 21 new subscribers per month. Instead, my list grew over 14x that rate. This particular organization hosts events and trainings and attends many conferences throughout the year. I thought, why not make an email sign-up form for us to take wherever we go? That way, if we’re running a workshop or hosting an event we can collect email addresses of people we know are interested in our work. Convincing staff members to bring the sign-up sheets with them to trainings they run or events they attend. They already have a lot of things to think about, and this one just wasn’t on the top of the list for most people. Collecting sign-up sheets after the training or event. If they did bring the sign-up sheets to the training or event, it was sometimes a challenge to locate it amidst the many materials they brought home with them. Barely legible handwriting. I’m going to blame this one on the widespread use of digital media (though I’m sure this has always been an issue). So many of us our out of practice of writing things by hand that many of the names and email addresses we collected were difficult to decipher. Needing time to manually input information into the subscriber database. Once we had the forms in hand, we needed to type up each piece of information to import these new subscribers. For the amount of information we gathered, this wasn’t terribly time-consuming. However, this task could get very overwhelming very quickly. One solution that would help overcome a couple of these challenges is to use a tablet or laptop versus a pen and paper to subscribe people to the list. However, many times we were in situations where we would leave the sign-up sheet out on a table and run off to do other things, so we didn’t want to leave a tablet or laptop unattended. All in all, I collected 59 subscribers from four events, averaging 15 new subscribers per event. Even though this wasn’t a huge increase in our list by any means, I still think it’s worth implementing this tactic if you have the resources to do so because people who attend your trainings or events are already interested in what you have to offer. This one is definitely more about quality than quantity. Webinars are a great way to deliver trainings online, as well as to get the word out about what you offer. The great thing about webinars is that people need to give their name and email address to sign up – the exact same information you need to grow your list. Adding webinar participants to your list is also a lot easier than the first tactic of having paper sign-up forms at in-person events. It gets rid of some of the middlemen and messy handwriting challenges. You just need to make sure that when people sign up for your webinar that they know they’re also subscribing to your email list. During this timeframe, we only hosted two webinars – definitely not as many as I would have liked. However, I was able to add 121 to our list from this tactic – an average of 61 subscribers per webinar. This is a pretty time-consuming endeavor to create, market, and host webinars. For some, webinars is a key email list building strategy and it’s worth the investment. It wasn’t for me, so I’m going to focus on some other tactics. Pop-ups have a bad reputation, for sure. But when I started asking around, people kept telling me over and over again that they work. So I decided to give them a try. I used SumoMe to install pop-ups on the website. This tool has many great free features – pop-ups being just one of them. I used the free version of SumoMe, but if you subscribe to the pro version of their list builder for $20/month you’ll get access to advanced features like more options to customize your designs as well as A/B testing. Next time I’m looking for ways to increase the number of subscribers yet again, I will definitely sign up for those advanced options. The key to not being annoying with your pop-ups is to configure your settings so they don’t show up too often. I choose the “smart” mode to let the program choose when it’s appropriate to display the pop-up. This means that it doesn’t show up for every user, and it only shows up when certain things happen like when they interact with the content (they’re definitely interested!) or when it looks like they’re about to leave (they’re leaving anyway, why not try to collect their email?). I also set it so it doesn’t show up again until four months after their first visit so they’re not bothered every time they come to the website. If you (or your boss) are still wary of using pop-ups, try them out on your top exit pages first. That’s the place where you really have nothing to lose – people are leaving your site at a high rate anyway. In the seven months or so that I’ve been using pop-ups, I collected 700 email addresses. This averages out to 100 new subscribers per month (I implemented pop-ups a few months into my experiment so they weren’t running for the full nine months). This is by far the best method of all the strategies listed so far! Membership is a great way to increase your email list. This organization’s previous website had a membership feature, and this was the main way they grew their list. When they moved to a new design, they got rid of that feature for a variety of reasons I won’t get into in this post. This also meant they got rid of the main source for getting new subscribers. I didn’t want to add the membership feature to the website again, but I did need something else to add value for our audience. Asking people to subscribe on the promise that we’ll send useful articles and resources in the future was working out pretty well by using the pop-ups. But knowing human nature and our desire for instant gratification, I thought we could do better. If we could offer something that was useful to our audience that they could download right now in exchange for their email, I figured we would be able to grow our list even more. For this organization, I released two resources that I made available to people if they subscribed to our newsletter. One was a set of templates and the other was a list of research we had pulled together that would be particularly useful for our audience. To do this, I created a squeeze page to give website visitors information about the resource and to hopefully convince them to enter their information to sign up for it. I also set up an automated email so once they confirmed their email address, they would immediately receive another email with a link to download the resource. Over the last nine months I collected an astounding 1,602 email addresses using this method. This averages 178 new subscribers per month. One reason this method was so successful was that this particular list belongs to a nonprofit that has a Google AdWords Grant. This allowed me to send a significant amount of traffic directly to the resource, for free, with minimal effort, in a short amount of time. If you work for a nonprofit and have a Google AdWords Grant, this is a great tactic to use to get more subscribers. If you’re not part of a nonprofit, you may want to consider spending some money for ads on Google and social media that send people to a sign-up page for your free resource. If you know how much each of your email subscribes is worth, it’s fairly easy to justify the money spent on ads as long as you get quality leads. If there’s no room in your budget for ads of any kind, you can still promote your resource the “old-fashioned” way with blog posts, social media, and enewsletters. The list growth was much higher than I ever expected – I grew this list by 56% in just nine months! The rapid increase in subscribers and website visits (via the Google ads) didn’t come without consequences. My email churn rate went from under 5% to a little over 11% – still not bad considering the average churn rate across the board is about 20%. This experiment may have had a negative impact on the website as well. During this time period, bounce rates increased and the average time on the website decreased. My initial thought was that this was caused by all of the traffic I was sending to my squeeze pages. Turns out, people actually spend more time than average on the squeeze pages for the new resources I created. So the source of those two problems may lie elsewhere in the site and may not actually be caused by the increase in traffic to those pages. The open rates for the monthly newsletter dropped slightly – a little less than one percentage point. I did see an increase in the total number of opens and clicks: there was a 6.7% increase in the average number of opens per newsletter sent, and a 3.3% increase in the average number of clicks per newsletter sent. While this is still a step in the right direction, the increase in opens and clicks did not keep up with list growth. Now that I feel like I have a handle on growing my subscriber list, I’m going to tackle open and click rates next (one method I’m using is email segmentation). I’ll keep you posted on my progress. In the meantime, I’d love to hear about email list building strategies that have worked for you. Post your results in the comments! We’re all looking for ways to increase email open rates. By far, the most effective strategy I’ve found is email segmentation. Doing things like experimenting with subject lines, A/B testing, and finding the optimal day/time to send your newsletter are all great ways to help you increase open rates. 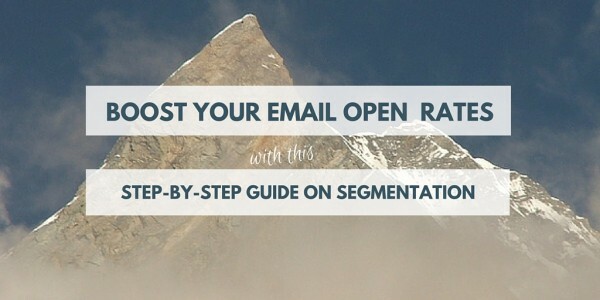 But if you’re looking for results, try these email segmentation strategies. 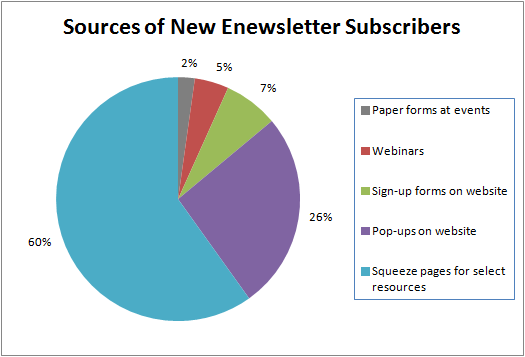 When you segment your list, you’re sending an email to a portion of your subscribers. It’s a way of getting information people want to the people who want it. When you try email segmentation for the first time, it can be like magic. Using this tactic, you may be able to more than double your open rate. If you want to use this tactic, you’ll have to get off of autopilot for a little bit to think strategically as to how you’ll use segments to your advantage and to set up your groups. However, I think it’s a very worthwhile investment. I’m going to highlight step-by-step how to segment your email list in MailChimp, but you can definitely segment with other email platforms as well. When you’re just getting started, think about a few groups you’d like to target. Ask yourself: How do you divide your content? Who is your audience? For example, let’s say your organization runs computer programming camps for teen girls. You may organize your list into parents, volunteers, donors/sponsors, and prospective campers. In MailChimp, you can sort your subscribers into “groups” and “segments.” Groups organize people by their interests and preferences. Segments are filters, usually based on an action they’ve taken. For example, you may create a group for volunteers. Then, you may create a segment of subscribers that includes volunteers who didn’t open any of your last five campaigns. Sound confusing? That’s ok. You don’t need to understand the difference between groups and segments right now – just know that we’ll be using both in this guide. At this stage, what’s most important is for you to think about who you’d like to target, what kind of content you might send those targeted groups, and how you might be able to identify subscribers in those groups. These are all optional, but highly recommended, ways to put your subscribers into groups – there are still a lot of ways to segment your list without doing any of these steps. Skim this list and choose which tactics, if any, would help you reach your goals. On the right, click “Create Groups” and choose the options you’d like. You should have sign up forms on just about every page of your website. If you add a tag to the MailChimp form code, you’ll be able to know which page or section people signed up from. 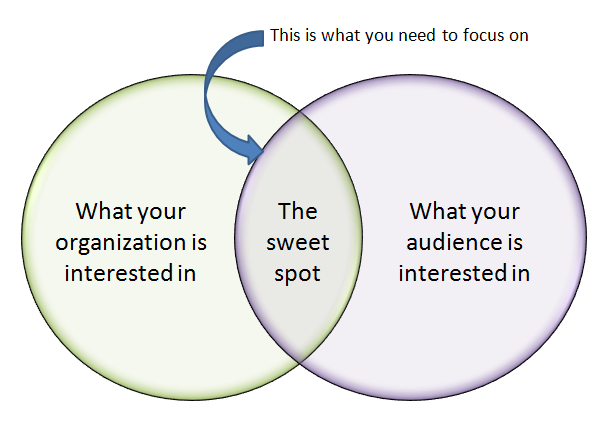 Think about how your content is divided on your website and the groups you want to reach. How can you tag the sections of your website in a way that will help you target certain audiences? Let’s go back to the example of the organization that runs computer programming camps for teen girls. If their website is divided into separate sections for parents, volunteers, donors/sponsors, and prospective campers, they could tag the enewsletter sign-up forms with the appropriate tag for each section. Then they can send relevant information to those specific audiences. Note: You may have to work with your web developer to create sections for your enewsletter sign-up forms on different sections of your website. If you just have one form at the footer of your site, for example, you may not be able to insert the MailChimp tag on different sections. In the “Field label and type,” add a label that makes sense to you. I use “Sign up source.” Make sure the “Visible?” box is unchecked (this prevents the field from showing on your website form). Be sure to scroll down and save your changes! It will look something like this: Make sure the “MMERGE3” value corresponds with the “Field label and type” you want to track (so if it’s MMERGE4 for your list, make sure your code says MMERGE4 instead). Change the “value” to whatever you’d like to name your tag. Congrats! Your merge tags are set up! If you run webinars, this is a great opportunity to sign attendees up for your email list (do make sure there’s a disclaimer somewhere when they sign up that they will also be added to your newsletter list). In the webinar sign up form, you can ask people to select the topics they want to hear about from you and/or why they are interested in your topic. Basically, you can have people self-select to opt-in to your existing groups when they register for your webinar. If you have in-person events, this is another opportunity to have people self-select which group(s) they want to opt-in to on your sign-up sheet. For past webinars or in-person events, you can put people into groups based on the topic of the event. For example, if your webinar or event was an orientation for new volunteers, you can put everyone who attended that event into the “volunteers” group. You can use your database as another opportunity to segment your subscribers. MailChimp integrates with many kinds of databases, and if yours is compatible, you may be able to sort people into groups within MailChimp. If your database doesn’t integrate with MailChimp, you’ll still be able to use it (just make sure the people you’re uploading to MailChimp are subscribed to your list). All you need to do is download a spreadsheet of the people you’d like to add to a certain group. Make sure you have separate spreadsheets for each group and that you save them as .csv files. Choose “Integrated service” if your database links with MailChimp, or “CSV or tab-delimited text file” if you’re uploading a spreadsheet. Check the box to add imported subscribers to your groups. Select the group(s) you want to add your subscribers to. Check the box to auto-update your existing list. THIS IS VERY IMPORTANT. If you don’t do this, your groups will not be updated. Click “Import” and you’re done! Now that you have several ways to sort your list, you may find that you now have more than one way to track the same type of person or people with the same interest. For example, let’s say I have two ways of knowing if someone is a volunteer: if they signed up for my newsletter from the volunteer section of my website or if they marked that they were interested in volunteering in my sign-up form at an in-person event. Since I have more than one way of knowing if a subscriber is interested in volunteering, I need to create a segment in MailChimp if I want to email all the volunteers in my list. To do this, navigate to your list. In the “Manage subscribers” tab, click the “Segments” option. This is where you can combine groups and/or segments in your list. Now that you have your groups set up and populated, this is the fun part. Trust me, it’s tempting to go a little crazy. The purpose of segmenting your list is to send super relevant information to those groups. Keep in mind how frequently you want to contact your subscribers. I’d suggest you cap your emails at double your normal rate when you’re just getting started. For example, if you regularly send out a newsletter once a month, I’d suggest that you don’t send more than two emails a month when you start segmenting your list. Some people will be on multiple lists, so you don’t want to suddenly inundate your subscribers with a ton of emails. You’ll notice that in this sample schedule I still maintain the regular monthly newsletter. I’m just adding a focused email in between that I’ll only send to one segment. I recommend this strategy for a couple reasons: First, the regular newsletter gives everyone on the list an opportunity to get a taste of a variety of content. 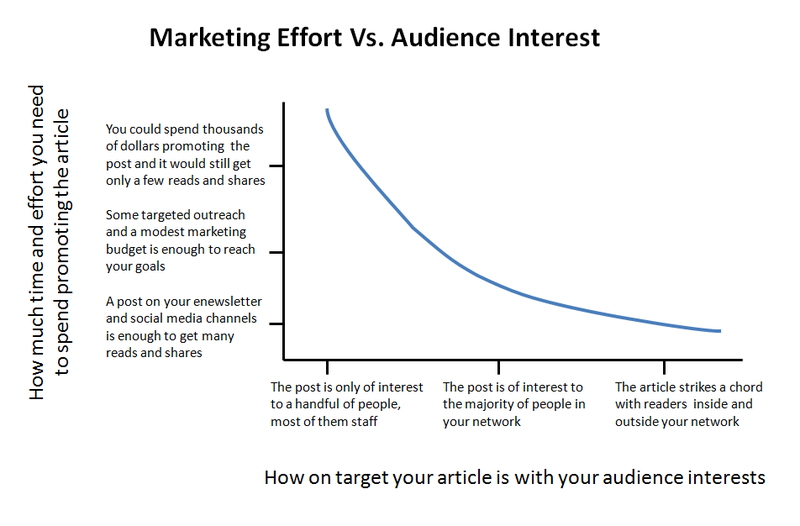 This is important because some of your content will inevitably overlap, and groups may also be interested in more than one type of content. 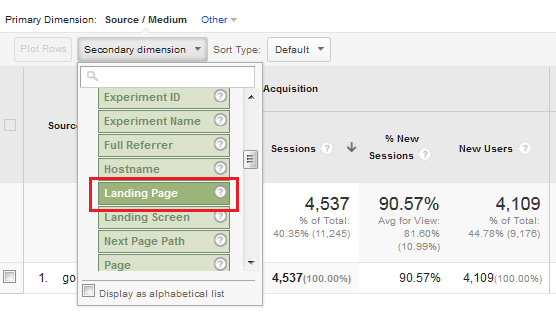 Second, this gives you an opportunity to continue segmenting your list based on activity (see step 5). I like to think of the monthly newsletter as a taste of everything that’s happening in the organization. Then the segmented emails are an opportunity to send additional targeted information to those groups (which can be featured in the main monthly newsletter as well!). Now that you’ve got the hang of segmenting your list, let’s keep the momentum going. When people open certain emails or click on certain links, I like to put them into my existing groups or segments. I think this is super helpful because this tells me what people are interested in without me assuming that they’re interested in certain kinds of content just because they belong to a certain group. For example, let’s say I sent an email to my entire list highlighting all the different ways people can volunteer and get involved in the organization. Since the main topic was about volunteering, I’m going to assume that anyone who opened it may have some interest in learning about ways to volunteer, so I’d like to add them to my existing “volunteer” segment. To do this, we need to go back to our list in MailChimp. In the “Manage subscribers” tab, click the “Segments” option. Click the “edit” button on the right next to the segment you want to add information to. Add a condition and select “Campaign Activity.” Then choose the newsletter that was on the topic of volunteer opportunities and save your segment. Now, if you’re like me and you send out a newsletter to your entire list that includes a variety of links, this makes things a little more challenging. How do you know if someone opened the email because they were interested in volunteer opportunities? What if they were interested in the advice for parents? Or they wanted to read information about the new program you’re rolling out? In this case, the only way to truly know which topic there were interested in is by which link they clicked. Unfortunately, right now in MailChimp there’s no easy way to add people to groups or segments by the specific link they clicked. But I think I’ve found a pretty good workaround. There’s an app for MailChimp called Mail Bonobo that makes segmenting your list based on clicks really easy! Using that app, I only spend about a quarter of the time segmenting my list vs. doing it completely manually. However, it is still a pretty new app so it can be a little buggy sometimes. If it’s not working for you, there’s still the completely manual way to do it. It takes longer, but it works every time. Navigate to the “Campaigns” tab in MailChimp. Click the “View Report” button to the right of the campaign you want to analyze. Click the “Export as CSV” button and open the file. This will give you all the information you have about each subscriber, including which link(s) they clicked in that particular campaign. In the Excel sheet, it’s helpful to widen the URL columns so you can see the full link. I also delete the other columns besides the email address because it clutters my view. Copy all the subscriber information for each link onto separate Excel sheets. For example, if a link was related to parent resources, I would copy all of those emails into a separate spreadsheet so I can import them into the “parents” group. Continue copying and pasting emails into separate spreadsheet for all the relevant links until you’ve gotten to the end of the list. Save each spreadsheet as a CSV file. Upload each list to their respective group in MailChimp. Since this method is a little time-intensive, I only do this about once a quarter. But I definitely think it’s worth the extra effort! A social media company didn’t publish new content for 30 days. Here’s what we can learn from their experiment. 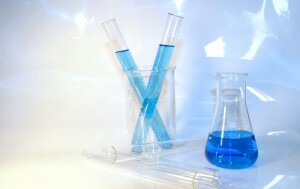 Take time to experiment with the content of your website or blog to find new ideas that could increase your growth. Let’s face it – there’s enormous pressure to constantly add new content. The good news is you don’t need to reinvent the wheel every time you want to publish something new. Don’t feel like you can take a break from posting new content? Even the though it can be kind of scary, the only way to increase your growth quickly is to try new things. Tell your boss that if a business can do it, you can do it too. Buffer is one of my favorite social media management tools and they recently took a month off from posting new content. Fortunately for us, they shared the details of their experiment and their lessons in a recent blog post. There are some valuable lessons we can learn from their experiment. Use these ideas to increase the amount of content you produce with just a little extra effort, or to free up your time to focus on other projects. Buffer didn’t stop posting anything for a month – they stopped posting anything new. They updated some popular articles, incorporated media, added new items to lists they already had, and more. They were creative with how they mixed and matched what they already have to present it in a new way or to add more value. When you’re able to add these “updates” into the mix along with 100% new content, you’ll be able to free up some of your valuable time without neglecting your blog. Share a “top 10” list of your articles/resources with a specific theme. For example, try something like “Top 10 articles from 2015” or “Top 10 resources for addressing poverty.” Whatever your cause is, chances are you have a lot of resources on hand. Gather them together in one post to make a list people will love to bookmark and share. Add a few more tips to a list you already have. For example, let’s say you have a list of 20 green gift ideas for the holiday season. Add five or ten new ideas to the list and you have yourself an updated post without having to start from scratch. Add a new intro to an existing resource or post. Sometimes an event can occur that makes an older resource of yours suddenly relevant. For example, let’s say you’ve have some lesson plans prepared to teach students about climate change and new legislation on requiring schools to teach about climate change has just passed. Even though you’ve been sharing the lesson plans for a while, new legislation makes this resource both relevant and timely. A new intro is all you need to freshen it up. Are you only posting your brand new blog posts on your social media profiles and in your e-letter? It’s time to put some of those oldies-but-goodies into the rotation too. Chances are, only a small fraction of your audience saw your post the first time around. And hopefully you’ve gotten some new followers and subscribers since then. 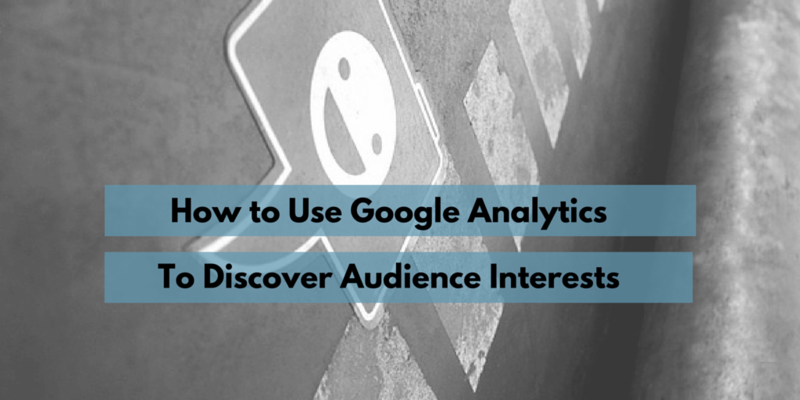 Check your website analytics to see which articles are the most popular. Don’t be surprised if some older articles make it to the top of the list – these ones have had time to get circulated and show up in search engines. Of course, you don’t want to re-post very time-sensitive material like announcements of conferences, commentary about a specific news event that’s no longer relevant, or seasonal posts. But you’re losing out if you don’t put at least some of your older articles into your social media and e-newsletter rotation. There are a lot of ways you can share information, and a written article is just one of them. Think about how you repackage your existing content into a Slideshare, video, podcast, infographic, or sample social media posts. There may also be SEO benefits to adding more media to your content. It shows Google that your users are interacting with your site which can give your website a boost in search results. It can take a lot of time to create a new story or pull together some great research. Don’t you hate it when you spend a lot of time creating that content and then the post seems like old news after just a couple months? Change doesn’t happen overnight, and checking in on a project a year or two later can refresh your story bank. Making your posts shareable is critical to increasing your traffic. One of the key ways is to make sure every post includes a photo or graphic. Even if you are not too active on social media, your followers might be. From Facebook to Twitter to Pinterest and more, a photo or graphic is what catches people’s eye on just about every social media channel. Adding images is another opportunity to add keywords that will help boost your SEO. Make sure you file names and ALT tags are descriptive and use dashes instead of spaces in the name. An important part of creating content is sharing it with others. Posting it on your own website and social media channels is great, but to continue to grow your audience, ask others to repost your content. This kind of relationship can be mutual – if you post each other’s content, you’ll be able to have the same amount of new content with about half of the work. As a bonus, you’ll get an SEO boost when another website links to yours. If you have a lot of content already, you may be able to turn it into an ebook. Find a topic that many of your visitors are looking for and that would be more useful in a longer format. This could be a compilation your best tips, a list of the top-rated hiking trails of the previous year, plans to build an urban chicken coup, a pet adoption kit for newbies, etc. This one is all about the packaging. You might already have the information in various places in different formats on your website, but making it short and visually appealing is the key. Hire a graphic designer if you have the budget for it. Not only is this a great way to repackage your content, it’s also an excellent way to get people to subscribe to your email list. Instead of having the resource available to download from anywhere on your site, create a page that requires visitors to enter their email address in exchange for the ebook. You can ask for more information than an email address if you’d like, but remember that the longer your form, the less likely people will fill it out. Then set up an automated message from your email campaign sending them the download link to the ebook once they’ve subscribed. An email drip campaign is an automated email series that is sent out at regular intervals after someone signs up for your e-newsletter. There’s a lot of potential here. Buffer saw 3-4 times more engagement with this tactic than with creating ebooks, so it seems like something worth trying. If you have any step-by-step information, that’s a great fit for an email drip campaign. If you don’t, you still might have some bulky content that would be good spreading out over time. For example, you could create a campaign for some recent research report that highlights the five sections of the report and gives some top-level analysis for those who do not have time to read it word-for-word. As a bonus, copy and paste those automated emails into blog posts for some extra content and another way to promote your research report. If you have a ton of content and it’s all organized by date, chances are there are some gems that are pretty hard to find, especially if you have multiple audiences or run multiple kinds of programs. Help people find what they’re looking for right away by sorting your existing content. This could be as simple as tagging the content, or you might create separate sections for each audience. Then link to those sections in appropriate places on your website. You can’t keep doing the same things and expect different results. From doing this experiment, Buffer found a lot of things that worked great, and a few that didn’t. It’s ok to pause one aspect of your work for a little bit to see what might get you bigger results for your organization. The key is to set a specific timeframe and goals. Measure your results so you can learn from your experiment. After reading this post, you shouldn’t be short on ideas! https://springmediastrategies.com/wp-content/uploads/2015/09/nonprofit-blog-content-tips-e1442362458968.jpg 251 400 Rebecca Reynandez http://springmediastrategies.com/wp-content/uploads/2015/04/Spring-Media-Strategies_for_web1-300x138.jpg Rebecca Reynandez2015-09-15 19:20:492018-11-21 20:34:37A social media company didn’t publish new content for 30 days. Here’s what we can learn from their experiment. If the chapters were out of order in a book, you wouldn’t know where to start. If your website visitors don’t enter your site through the homepage, they may be confused too. Take a few steps to introduce your organization. 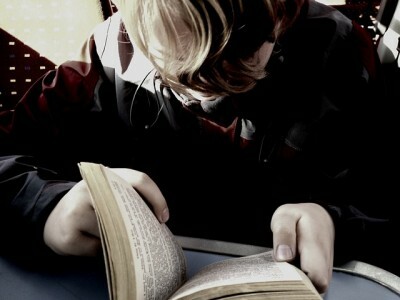 Imagine you open a new book and the intro chapter is buried in the middle. You would be a little confused, wouldn’t you? When new people come to your website, they need to start at the beginning – learning who you are and what you do. Then they can start learning about the details of your initiatives and how to get involved. If you look at your analytics, you may find that you have many landing pages. That means that the first page people visit on your site may not be the homepage. Surprised? The homepage used to be the place to showcase your most current stories and tools. Now, social media has filled that role. While your homepage may not be the first page visitors land on when they visit your site, it’s still a place for new people to learn how to navigate your content. And since the first page many people see may not be the homepage, it’s important to have information about your organization readily available from any page on your site. If you have a rotation banner on your homepage, make sure at least one of your banner images links to information about who you are and what you do. Have information and links to learn more about your organization in the footer of your site. Make sure it’s easy to find the homepage and the “about us” section from every page of your site. Create a “welcome” page to help new visitors navigate your content. Even if you’re a person that doesn’t use recipes when cooking or baking, you should follow certain steps to make your images SEO-friendly. If you’ve ever done any cooking or baking, you know that timing and temperature can make a big difference in the success of your dish. Sometimes you can wing it and it will turn out just fine, but other times the wrong temperature or cooking time could result in a ruined dish. That’s a lot of preparation with nothing to show for at the end. 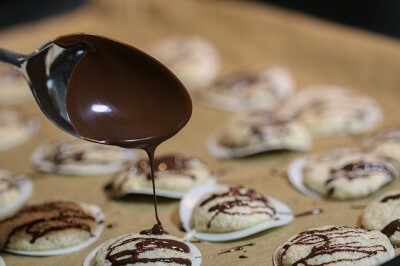 Finding and using quality photos in your articles is like the preparation process in cooking or baking. The prep takes up the majority of your time and effort and makes it possible to put your best work forward. You could wing it, and upload your photos and hope for the best. However, with the right tweaking you can make your images work for you. There are a few ways that your images can help give you extra SEO juice. So if you’re someone who “wings it” in the kitchen, you might want to use a different strategy in this area. A little planning and preparation can go a long way. When uploading images, first and foremost you need to make sure they’re eye-catching. This doesn’t necessarily help improve your SEO, but it will help the shareability on social media. When you share an article on social media, many networks will pull the first image directly from your article. That’s why it’s important to put some thought and effort into the images you use to accompany your web content. Be descriptive in your file name. You could name it the headline of your article, or another name that uses keywords. Using a name like “10-resources-early-childhood-development” will help your SEO; “IMG_1987” will not. Don’t include spaces in the image name. You might be able to upload files with spaces in the file name without a problem, but search engines will not be able to understand the spaces. Resize your images to the largest size you will actually use. For example, let’s say the resolution of your photos is 5000×2800 pixels. That high resolution is useful when printing large banners or posters. On the web, it’ll slow your site down. On a blog post, you may use an image that’s 300×180 pixels – a small fraction of the original size. Keep the original photo as-is and upload a resized copy to your website. Headlines for print and the web serve different purposes and need to be treated differently. News flash: Print and digital are not created equal. 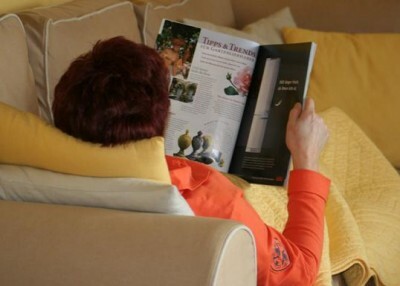 In print, once people have a magazine or newspaper in hand, their attention is concentrated on that publication. When you’re writing headlines for print, often the goal is to give the reader the most information possible. Online there are many distractions, and it’s important not to give away all the juicy details right away in the headline. If you do, they will have no incentive to click to read more. Here’s the cold, hard truth – if your headline doesn’t grab people’s attention, no one will click on your link and read the content you’ve labored over for weeks (or even months!). So if you want people to click on your links and read your content, it’s time to start focusing on headlines. This is a must. For the 10 least popular articles, use the information you learned from the first step and change your headlines accordingly. If you are able to do more than 10, go for it! Use this worksheet to help you write great headlines for future articles. Advanced tip: Use Twitter to see which headline ideas resonate with your audience. Come up with several ideas you want to test, and put that text into the mix of your tweets, all linking to the same article. Track which text generates the most interactions and/or clicks and adjust your headline accordingly. Baby goats can provide many lessons for getting your message across. What??? Baby goats?! 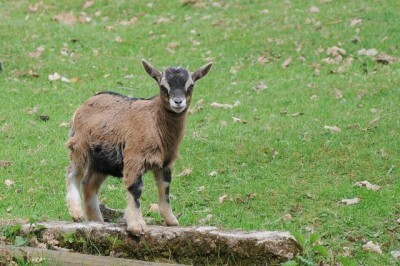 What do baby goats have to do with getting your message across? Not much (though they sure are cute). But your eye was drawn to the photo and the caption, wasn’t it? Captions are often overlooked in web articles, but they’re a great opportunity to get your message across. People may not read the entire article, but they will likely look at the photo. And if they look at the photo, chances are they’ll read the caption too. The caption is a chance to get your message across to people who may not read the article, and it’s also a chance to entice them to read more. Look at your top 10 most visited articles. Do you use captions in your photos? If so, are they descriptive of the photo, or do they tell a mini story? For example, let’s say you have a photo receiving an award for their project. A caption in a print publication might say something like, “Girl Scout Troop #857 from Oklahoma City receive the Mayor’s Award for outstanding service to the community.” The web isn’t print, so you don’t have to play by those rules. Try something like, “These girl scouts devoted their summer break to rebuilding the run-down park and are now being recognized by the mayor for their service.” Doesn’t that sound a little more inviting? Then, if visitors want to know more, they can find details in the story. If they click away from your site without reading the full story, at least they might be aware of the work the girl scouts did. Take a look at the captions in your 10 most visited articles and think about how you can use them to connect the photo with a key point in your content. The more useful captions you can write, the better. Bonus tip: These updated captions could make great social media posts! Like a menu at a restaurant, headings help your website visitors find what they’re looking for. 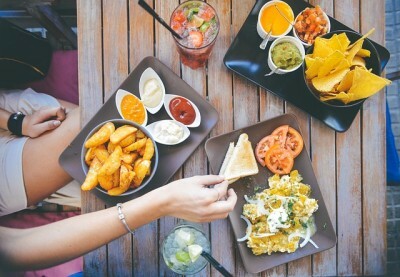 When you sit down at a new restaurant and open the menu, what do you look for? Maybe you want some appetizers to share, a list of local beers, or vegetarian entrees. Chances are you’ll use the headings to find what you want. The H1 heading should be the title of your page. Don’t use the H1 heading anywhere else. Use your headings as-is. Don’t change the size or add styling like bold or italics. If you don’t like the style of your headings, work with your web designer to change them. Only use your headings for their intended purpose …as headings. Don’t use them to style text in the middle of a paragraph. Take a look at your top 10 most visited articles. How do you separate ideas on your page? Do you use headings, or styling like bold or italics? Or is your page one long article? If you already use headings, keep up the good work! If your page is organized in steps or uses bold or italics to break up the content, you already have natural places to use headings. If it’s one long article, look for changes in ideas where you could add subheadings. There may be some articles where you don’t add any subheadings at all, but always take the time to consider using them in your content. Whether in stores or on your website, people go where others are. When I have a day out running errands, sometimes it feels like people are following me. Not in the creepy sense. But I’ll go into a store that’s almost empty, and a few minutes later it’s full of people. This happens again and again. It turns out, I’m not imagining things. There is actual science behind this. 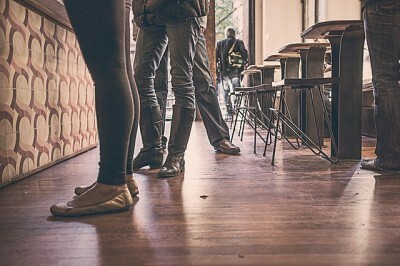 A study at the University of Leeds found that 95% of people followed others when asked to walk around randomly in a hall. Other studies have shown that people follow the crowd in where they’re gazing, stores they visit, products they buy, and even when voting for candidates. This kind of behavior has helped humans survive – if one person has already checked out a new location or tried a new food, it must be safe. In the digital age, you can use this kind of “herd behavior” to your advantage on your website to get people to take action. Note: If you are just starting out, showing how many people have joined your cause may backfire. People may mistakenly assume that since not many people have backed your cause, something must be wrong. Think about it: If you saw something that said “4 people have already signed up for this webinar” you might think, “Wow, they must give terrible webinars if only four people are signed up…” In reality, the reason there are so few people signed up could be that the webinar registration just opened. In this case, wait until more people have signed up until you use social proof to encourage more people to join.